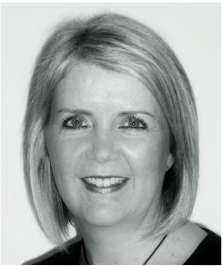 My name is Gill Davis; I am a fully qualified and experienced children's counsellor and I work extensively with children, teenagers and young people. I am based in central Harrogate, but I work with young people from around the Harrogate, Knaresborough and Ripon area. I hold counselling qualifications from Leeds Met University and the Relate Institute (The University of Hull). I am a member of the British Association of Counsellors and Psychotherapists (BACP) and I adhere to the BACP Code of Ethics and Practice Guidelines. I also undertake regular CPD training. All my qualifications and training are show below. I am a Relate-trained counsellor and I have worked extensively with children aged from 5 years and young people up to 18 years, at the Relate centre, in schools in North Yorkshire and Leeds; and in private practice. I am also a qualified relationship counsellor and have experience in counselling both individuals and couples. I work in private practice at Listening Room Harrogate, where I am listed in the UK Counselling Directory and the BACP’s ‘It’s good to talk’ directory of UK counsellors.